Check sailing to St. Lucia, St. Vincent, and The Grenadines off your bucket list! This summer take a break from your daily demands and ready yourself for an exciting and exclusive 7-day experience at the helm of a Lagoon Catamaran sailing through the most pristine waters and islands the Caribbean has to offer. Get immersed with the SVG’s natural wonders and discover an other worldly view of our oceans. 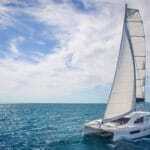 You’ll have the opportunity to take the helm of your catamaran and use your sailing skills and learn new ones. We are offering a Sailing Course Special for ASA 114, Cruising Catamaran for $500, a savings of $450! Demonstrated ability to skipper an auxiliary- powered sailing cruising catamaran of approximately 30 to 45 feet in length during a multi-day live aboard cruise upon inland or coastal waters in moderate to heavy winds (Up to 30 knots) and sea conditions. Knowledge of Catamaran structure, components and features, performance under sail and power boat systems, seamanship and safety, heavy weather operation, and emergency response. Our experienced crew will help you chart the day’s sail, using their local knowledge to ensure the best course will be taken for maximum enjoyment. Need a break? No worries! Your captain will gladly take over while you enjoy island excursions, snorkeling, relaxing or a cocktail. Jonathon Davis has 22 years of experience in chartering boats, racing boats, and delivering boats by both power and sail from the Caribbean to the coastal United States. He has logged “over 100,000 sea miles” from Mallorca to Maine to Grenada to Galveston. 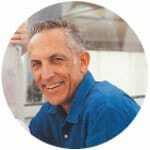 Jonathon’s vast knowledge has helped him attain numerous Marine Certifications, including USCG 100 Ton Master’s License; Sailing Endorsement; Commercial Towing Endorsement; STCW 95 Compliant; Red Cross CPR; Red Cross First Aid; Padi Open Water Diver; IKO Level 4; and Sea Explorer Advisor from 1999 to present. His years spent in St. Vincent and the Grenadines prove invaluable as he knows the area like the back of his hand from navigating to the local eateries to the must see sights and vistas. If there’s one person to give a guided tour of the SVG, it’s hands down Jonathon Davis. The price per person is $2,300, based on double occupancy for a seven-day cruise. Space is limited and expected to sell out quickly. Reserve your spot and cabin priority preference with a $700 deposit. Our fleet features luxury appointed catamarans, including a Lagoon 420, a Lagoon 440, and a Leopard 404, All yachts have 3 double cabins available to guests, all with private bathrooms, the 4th cabin is reserved to crew. Of these boats, our reservations team will select boats that best suit the needs and demographics of the members of the flotilla. Currency: East Caribbean Dollar, although US dollars are readily accepted.